I was born and raised in Corpus Christi, TX. Most of my childhood I spent living with my grandparents and my sister. We lived in a typical lower middle-class neighborhood in our city, there were good people who made bad choices so there was gang activity and crime. However, my grandparents did a phenomenal job of keeping us out of trouble. Immediately following graduation, I left for Marine Corps boot camp and I have spent the last 19 ½ years in the Marine Corps. I started doing Jiu Jitsu back in 2005 while living in San Diego. I had recently attended the Marine Corps Martial Arts Instructor Trainer Course and realized how underqualified I was to be teaching Marines combatives. So I tried out a few schools I spent most of my time between training with Baret Yoshida at Undisputed and training with my friends at P. B. Fight Center. I didn’t yet understand the term creotoné. Eventually, I ended up becoming a full time student of Rodrigo Medeiros and Richard Colavin and I’ve been a loyal student ever since. I still cross train with other teams and I have the utmost respect for them I just consider myself to be a student of theirs. In fact every time I’m in San Diego I drop into train with Baret and Sergio. Have you ever thought of quitting Jiu Jitsu? Why? Yes, I have thought about quitting or ghosting Jiu Jitsu like a clingy girlfriend. The fact is that Jiu Jitsu is without a doubt one of the most challenging things I’ve ever done. The part that makes it so challenging and gratifying for me is the constant perception shift of your own performance. For me at least there are days when I’m on top of the world and others where I can’t seem to perform to my potential. I tell people all the time that in Jiu Jitsu you’re going to have moments of over achievement and under performance, you just have to continue on your own journey. Once I realized and accepted the fact that it really doesn’t matter what anyone thinks of my skill set or that I should be better since I have been training X amount years and they’ve been training less and already whatever belt. That is when the thoughts of quitting faded away. I do Jiu Jitsu for myself and for my family. Describe your first experience with Jiu Jitsu. My first experience with Jiu Jitsu was similar to most, I think. I was attending the Martial Arts Instructor Course for the Marine Corps and we had various sparring events that we participated in. During the ground fighting and standing to ground I saw some of the instructors do what seemed to me to be sorcery on the ground. I was truly amazed and realized that I needed to learn that stuff. If you hit the lottery and could have your own gym and hire anyone in the world to teach, who would you hire? Wow, well there are amazing instructors all over the world these days. It seemed like before there were a few big names and that’s it. Now there are droves of world class instructors and I am a huge fan of Gui Mendes; Buchecha; Baret Yoshida; Marcelo Garcia; and Terre. 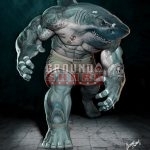 Although, I would love to train with them I would hire Rodrigo Medeiros (BJJ Revolution). I’d choose him over all of the other amazing Jiu Jitsu instructors and players around the world because of the intangibles; the quality of instruction; and his dedication to his students. What is your Jiu Jitsu spirit animal? The bear is my spirit animal. I just really love bears, I’m not sure why, I just do. I feel like during the kid’s classes I would teach at my academy I was like Fozzie bear and during the adult classes I was like one of the Bears you draw. What is your best advice for someone starting Jiu Jitsu? Have fun, don’t burn yourself out, and don’t judge your progress in comparison to other people. I believe that Jiu Jitsu is a sport/martial art that tells the person the truth about who they are. I see guys that come in that are absolutely gifted, talented, or whatever you want to call it and they breeze through effortlessly. Others come in and grind day in and day out for years and are getting smashed by the first guy I mentioned. I have two thoughts on this. First, we all know what we are capable of and the amount of effort we are putting into something I believe that this is what we should compare our progress to. Secondly, it’s not about who’s good, it’s about who’s left. If you could roll with anyone in the world who would you chose and why? Marcelo Garcia. I’d choose him since I have recently began using the X and butterfly guard more often in my game and I would love to experience what it is supposed to feel like. 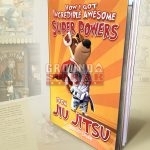 What have you received from Jiu Jitsu that is not sports related? Jiu Jitsu has given me a means to change lives. I have a skill that I pass on to my children to help keep them safe when I can’t; to help them deal with adversity; and to help them see what they’re capable of. What is your biggest pet peeve when rolling? Why did you start Cauliflower Collective? I’m a former foster parent and I trained my foster kids in Jiu Jitsu and immediately recognized the benefit of having my children participate in Jiu Jitsu. In doing so, I also saw the need for other children in the same situation to have this opportunity. 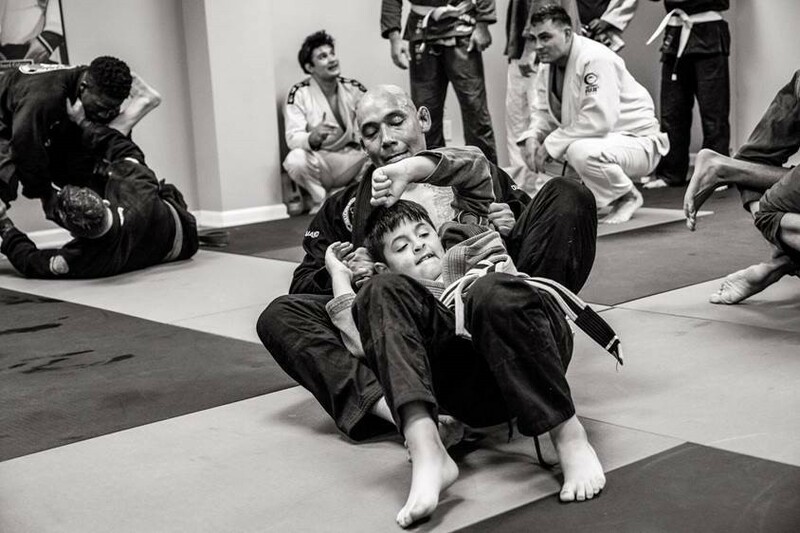 Jiu Jitsu increased my children’s confidence, resilience, and belief of self-worth. What do you hope to accomplish with cauliflower collective? I want to help provide children in the child welfare system the power choice. 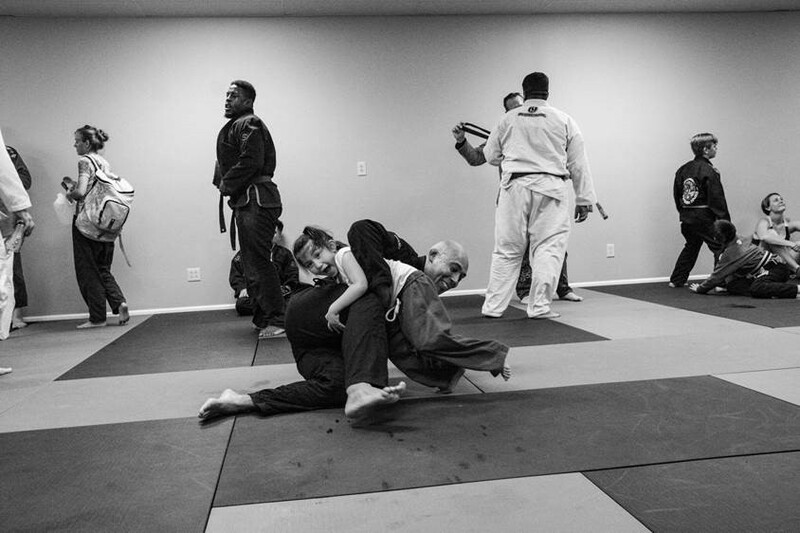 Being introduced to Jiu Jitsu and wrestling gives these children the skills to be successful in life while providing them with some form of stability and outlet to focus their energy. Having first experienced and seen the benefits of these sports/martial arts I can tell you that they teach a person how to deal with failure and success; a solid work ethic; personal accountability; confidence and humility; and a variety of leadership skills. These skills are what will give these children the power choice. These skills will carry them through their lives and give them ability to choose what they want for their life. Well, I go to work on MCBH Kaneohe Bay do my job make some time during the day to train and at night I’m the head coach for our youth wrestling program on base. After practice the kids and I go home and get ready for the next day. At Gracie Kailua’s open mat. I want to grow the Cauliflower Collective to point where we have ambassadors in every state. I also want to get better at my butterfly sweep. Who was the most influential person to you as a child? My grandfather (Sergio H. Soto) for raising me when he didn’t have to. Follow the Cauliflower Collective‘s journey as they set out to change lives. Remember It Takes a Collective.